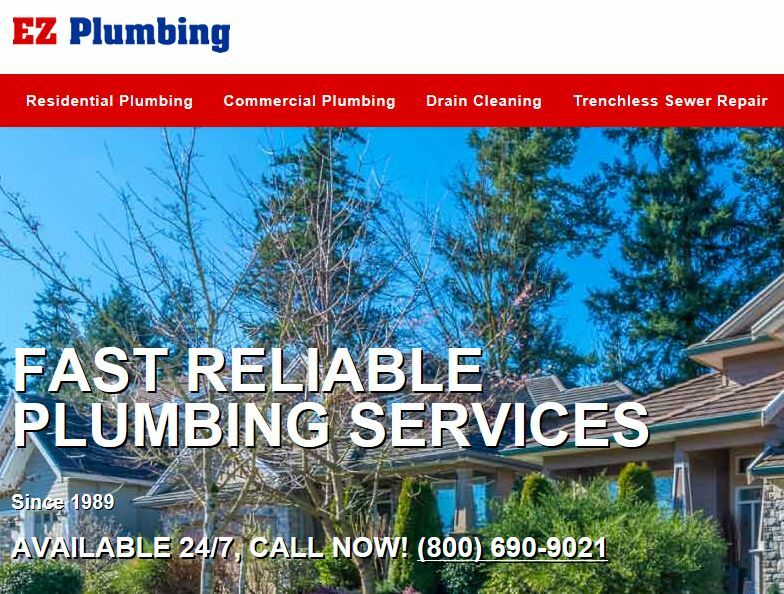 Introduction: EZ-Plumbing.com signed up for 12 keywords on May 15,2016. 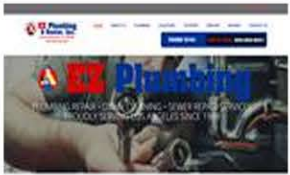 We implemented our plugin to their WordPress site that week. 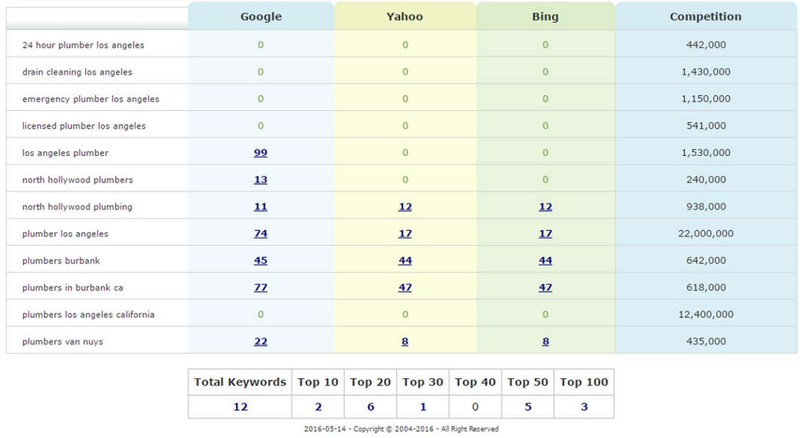 Initial Report: Before we implement our SEO Platform, we take a baseline keyword ranking report. This report was generated on May 14,2016 using the 12 keywords chosen by our experts and approved by the client. 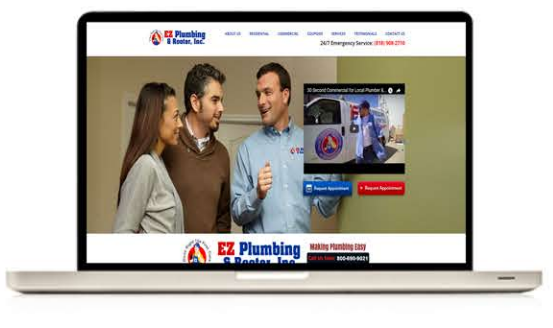 Initial Report Summary: Shown above you will see that EZ-Plumbing.com started with 2 of the chosen keywords placed in the top 10 positions of Google, Yahoo & Bing. Below is an example of a link placement you can click the image to view the link on the live member website. We have built over 100 of these. With these links, we usually see improvements within the first 5 days! 8 Week Progress: The site has now been on the service for 8 weeks. In that 8 week period, the organic ranked keywords and top 10 placements have tripled, and daily traffic flow has more than doubled. Here’s what those rankings look like after only 8 weeks! 8th Week Report Summary: Within the first 8 weeks, the site has gained well over 100 inbound links and has increased the number of top 10 placements to 29 up from 2 when we started. 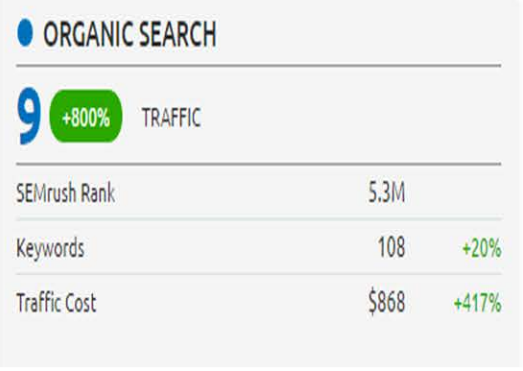 Organic Traffic Increases: With the new top 10 results, we are seeing a 800% increase in daily organic traffic across 12 main keywords. 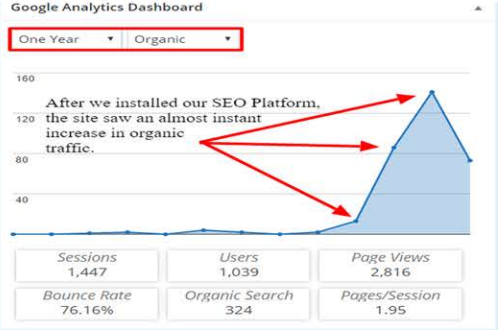 Note in the graph below that EZ-Plumbing.com has had its highest amounts of organic traffic in it’s history. Organic Traffic Summary: As seen above, the spike indicates a daily traffic volume of 9 organic visits. Which is 8 times what it was on the 1st day of the campaign. Progress Summary: The campaign has shown great success in its first 8 weeks. Top 10 placements are on the rise and traffic iws increasing daily. 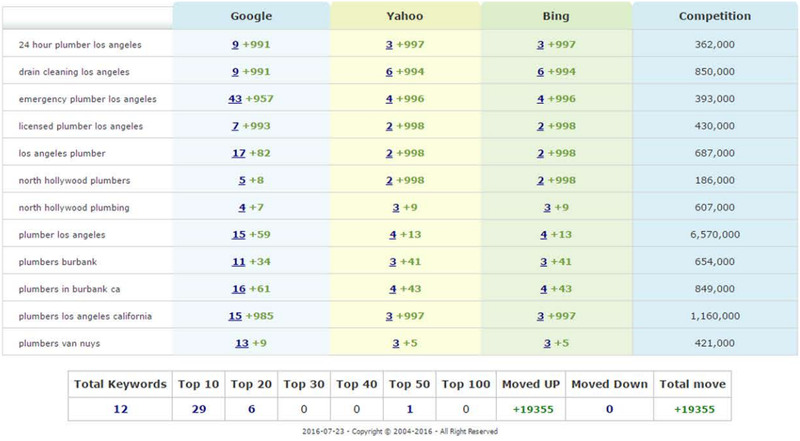 The upward trend will continue as our SEO Platform continues to push the site to the top of search results.